Registration is now open for the 2019 Great American Cleanup of PA! 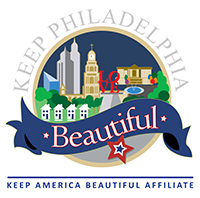 Check out Keep PA Beautiful’s website for more details. Join Keep Philadelphia Beautiful for an Earth Day litter cleanup and Green Stormwater Infrastructure tour! In celebration of the First Annual Green Week and the Great American Cleanup, KPB, Green Philly, Make the World Better Foundation, and local partners need your help to remove litter and debris from Smith Playground and the blocks surrounding the park. After the cleaning is through, we’ll embark on a brief walking tour of park’s Soak It Up Adoption green stormwater system, led by Philadelphia Water. We’re joining CLIP and The Philadelphia Resilience Project partners for a May litter cleanup! Support these on-going cleanup efforts in Philadelphia’s Kensington neighborhood to combat the opioid crisis through community engagement and beautification. Join us for their May litter cleanup.